Make a magnificent musical mechanical Ferris Wheel! 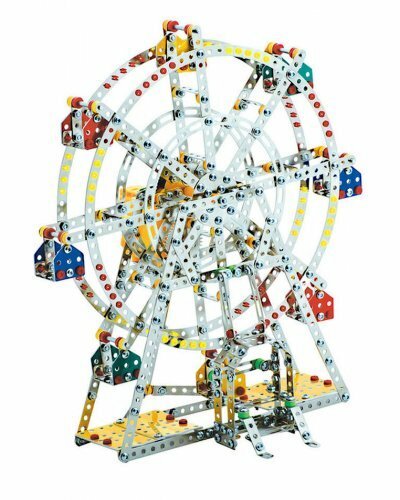 Our beautiful Steel Works Ferris Wheel includes over 950 metal pieces plus a windup music box that makes the large 14" tall wheel go round. 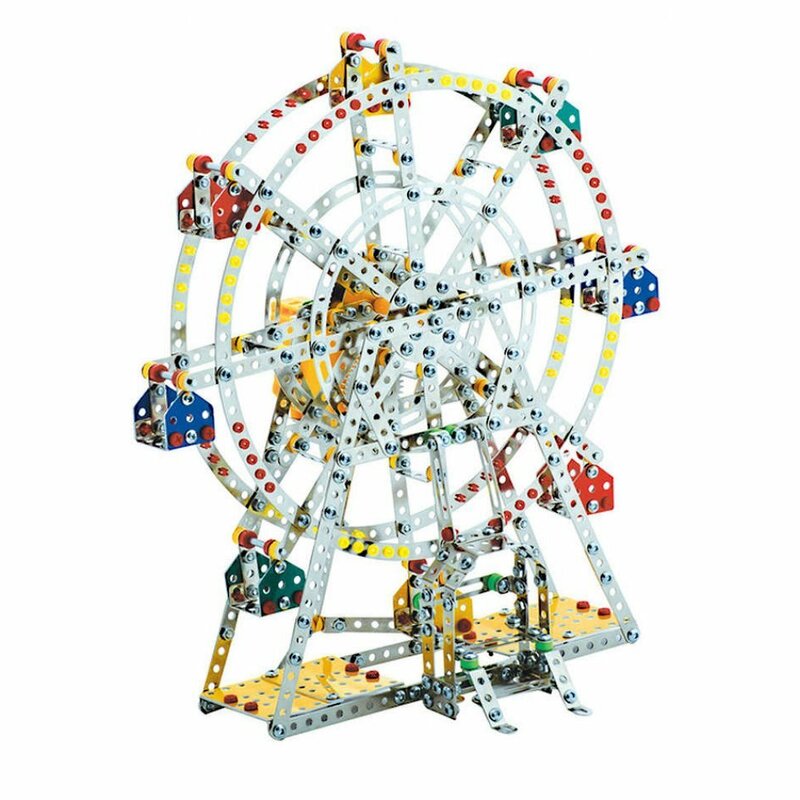 Wind up this high quality tin Ferris Wheel and watch the 8 gondolas rise and rotate. 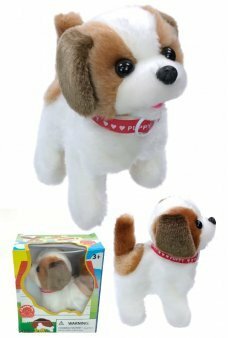 The music box plays a classic circus tune and the silver wheel rotates. 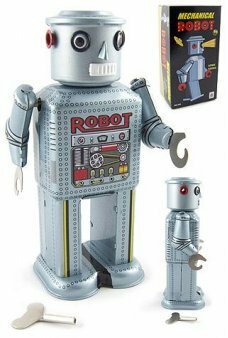 With this kit you have everything you need to build this incredible, working toy. The Ferris Wheel comes with all the tools you need and a detailed, step-by-step instruction booklet. 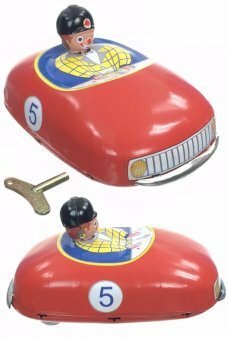 A high quality tin toy for your collection and decoration. 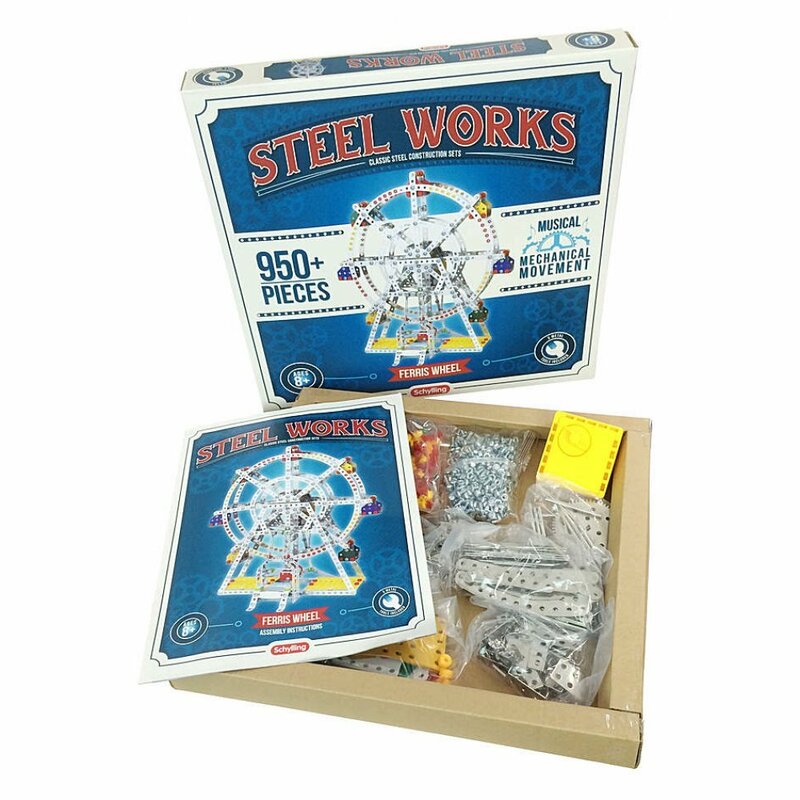 Package: Colorful Gift Box - "Schylling - Steel Works Ferris Wheel"
You get 12 mini Tin Trumpets in this party set! 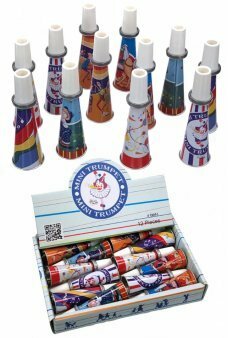 Each Mini Trumpet has a colorful tin printed h.. 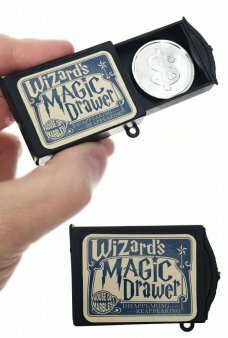 Magically make a coin vanish before your very eyes! 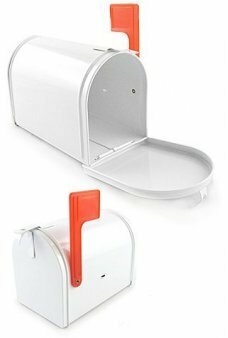 The Magic Drawer trick is an amazing easy illusi..